Why go now: Paso Robles’ wineries have been drawing crowds for years, but people are starting to notice this tiny nearby farm town. The sweet spot: Catch May’s lingering-green hills before summer’s triple digits hit. Where it is: 6 miles south of Paso. Population: 6,900 Dress code: Jeans and cowboy boots, just like the local ranchers and grape growers wear. Wine cred: Wild Horse, Turley, Victor Hugo, and Four Vines are all here. Try them out: At the Paso Robles Wine Festival in May. Farm cred: In addition to grapes, Templeton is known for its alfalfa, hay, and horse and cattle ranches. Where to fuel up for the day: Joebella Coffee Roasters (1121 Rossi Rd.). Saturday morning hang: Locals flock to Templeton Community Park, where the largest gathering of farmers in the county sells fresh-picked produce beneath a canopy of ancient oaks (Crocker St. at Sixth St.; 805/748-1109). 1. See the countryside: Scenery like this was made for joyrides. Our three favorite roads? Templeton’s Vineyard Drive, which winds by working ranches and endless rows of vines you’ll want to pop out and explore. Santa Rita Road, flanked by gnarled oaks, wildflowers, and orange and avocado groves. At its highest point, you get 360° views of Paso wine country and the Pacific Ocean. And Old Creek Road, a beauty off State 46, about 10 miles west of U.S. 101, where the hills are dotted with cattle. Pick up lunch at Farmstand 46, then grab a bottle next door at Four Vines Winery. 2. Farm to sandwich: Wander through the gardens at Farmstand 46, where “local” means “grown out back.” Maybe that’s what makes the bright array of artisanal sandwiches, salads, and wood-fired pizzas so tasty. Order the Teej sandwich with tuna, egg, and black-olive tapenade to go, then pick up a bottle of Zin from next-door neighbor Four Vines Winery (805/237-0055) and camp out on the patio. $; 3750 State 46 W.; 805/239-3661. Try your hand at making goat cheese at Happy Acres Family Farm. 3. Make some cheese: There are nearly 200 goats (each known by name) at Happy Acres Family Farm, 5 minutes from downtown. Make a four-legged friend, then stop by the farmstand to try cheese and body lotion made with goat’s milk. Or take a tour, where you’ll milk a goat and help flavor cheese (free; tour, $25, by appointment only; 1955 Templeton Rd. ; 805/434-7580). 4. Take home a bottle: The 15 Degrees C Wine Shop and Bar has the best wine selection on the Central Coast—more than 500 from all over the world alongside hard-to-find local favorites. Order a glass too, and pair it with generous cheese plates, imported meats, or panini from the tapas menu. $$; 1121 Rossi Rd. ; 805/434-1554. 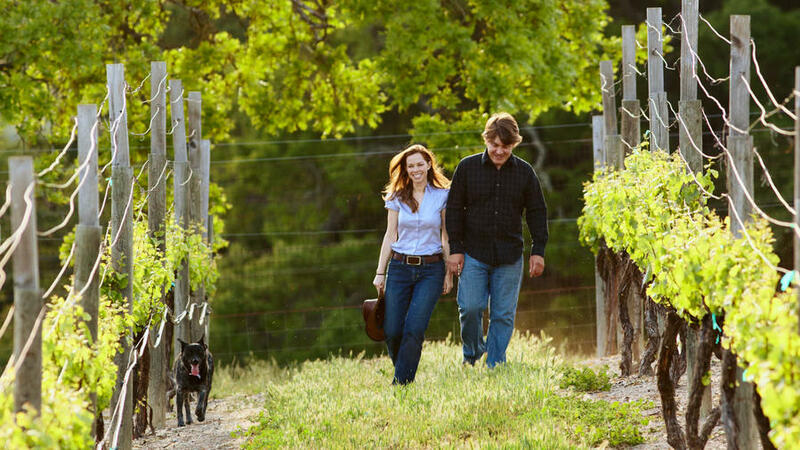 Make it a weekend: Stay at Venteux Vineyards, where you can stroll through the vines, sip Rhône-inspired blends by the stone fireplace, chat with the winemaker, and relax in your farmhouse-style room. Gourmet breakfast is served on the long wraparound porch. $245, including breakfast and wine and cheese; two-night minimum. For seafood: At Pier 46 Seafood Market & Restaurant, in addition to freshly caught fish to go, there’s first-rate fish and chips, cioppino, fish tacos, and calamari on toasted sourdough. $$; 1131 Rossi Rd. ; 805/434-1950. For burgers: Locals line up for juicy burgers with all the fixings at the Burger Station, in a 1940s gas station. $; 628 South Main St.; 10:30–3:30; closed Sun; 805/434-9200. For wine: Try the Rhône- and Bordeaux-inspired blends at Clavo Cellars downtown. Especially the “Dreamer” Petite Sirah. $5 tasting fee; 315 S. Main St.; 805/226-0174. For a surprise: McPhee’s Grill is one of the best restaurants on the Central Coast, serving whatever Ian McPhee is in the mood for—say, ancho-chile duck quesadillas or roast quail with mushroom caponata. $$$; 416 S. Main St.; 805/434-3204.